Back to news From 13 September to 29 November, there was held a series of free conferences SearchInform Road Show 2016 “Insider: Detect and Neutralise”. 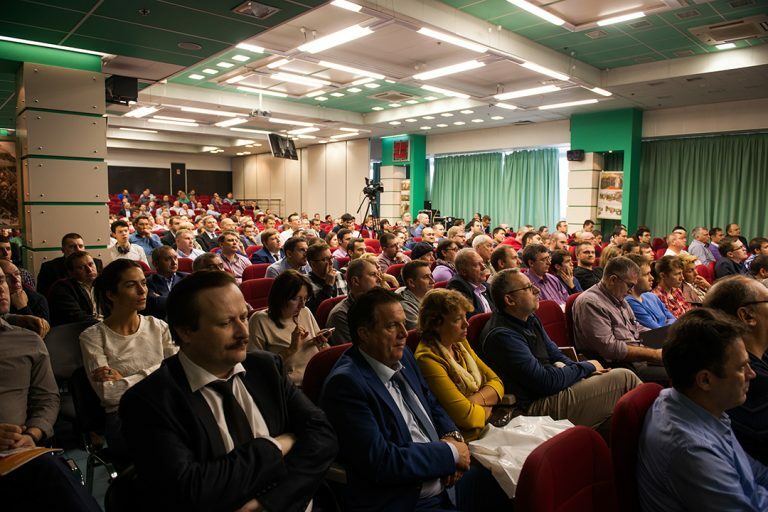 The event took place in 23 cities in Russia and the CIS and gathered 3057 participants, information security experts. The SearchInform company annually gathers information security experts to discuss topical issues and tell about trends in information security sphere. In 2016, the key topic of the conferences was a symbiosis of DLP and SIEM – peculiarities of interaction of these two tools to prevent and investigate incidents related to sensitive data breaches. Experts from SearchInform delivered their speeches telling about real experience and cases of customers. They also told about new information security threats and presented updates of the company’s products. In some cities, the company’s clients also gave speeches – they told about day-to-day experience of using SearchInform DLP and shared their information security life hacks. “We are already using the DLP system, but I decided to participate in the conference to learn something new on this topic. The event turned out to be useful: I got interested in the system of work time control. Our company is expanding, so the issue of employees’ productivity is currently important for us,” shared the head of SB AO VTB Registrator. Following the results of Road Show, experts from SearchInform are making a traditional information security research and will share its results in early 2017.